Three Week 10 challenger events came to a close on Sunday, each with its share of interesting/feelgood highlights. First and foremost, Amer Delic made his first return to the challenger winner’s circle in almost 3 years, netting his 6th Challenger title overall when opponent Karol Beck had to retire in the warm-up before the Sarajevo Challenger final, citing a back injury. Beck had defeated top-seed Grigor Dimitrov in the first round, fifth seed Edouard Roger-Vasselin in the quarters, and surprise semifinalist Mirza Basic to get the last stage, so it’s a shame that his run had to end so ingloriously. Still, despite the anticlimactic final, it was a thrilling tournament overall – one that saw two Bosnians (Basic and Delic) reach the semis of their home tourney. 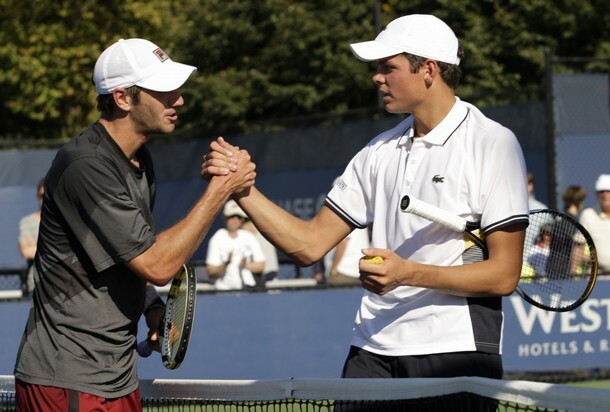 And Delic’s thrilling semifinal victory over second seed Nicolas Mahut – saving three match points in a 6-4 1-6 7-6(8) win – provided enough excitement to mitigate the disappointment of a finale unrealized. Delic’s win will likely land him back in the Top 300, after losing so much time to injury. On a personal level, it’s great to see Amer – one of the game’s nice guys and a terrific ambassador for the sport – playing again at such a high and healthy level. I know he reached the finals of the Champaign Challenger last year, but I wasn’t able to actually witness it. So it was great to see (albeit on a stream of questionable quality) him playing great ball this week. At the Brisbane International, unseeded 18 year-old Ryan Harrison made it through the qualifying tournament, taking out the hobbled third-seed Michael Russell before posting wins over solid Challenger players Matthias Bachinger and Jurgen Zopp to qualify. Unfortunately for Ryan, he drew top seed Robin Soderling in the main draw, and went down to the fifth ranked player in the world 2-6 4-6 in a fairly respectable effort. 20 year-old Richie Berankis, last seen winning the Helsinki Challenger in a win that propelled him into the Top 100, has done Harrison one better: so far he’s not only qualified (including a tough three-set win against Peter Luczak in which the 5′ 9” Lithuanian served 23 aces against only 2 double faults) but then defeated former Top 25 player (and current #78) Arnaud Clement in straight sets. I’ll try to find out what the contingency plans are for both events. Pretty sure they can move indoors in Sao Paulo, but as you read in Jon’s Noumea Preview, Caledonia is shrouded in more mystery than the island from LOST, and they once cancelled the dubs due to rain. So… we’ll see about that. In the meantime, there’s good ATP 250 qualifying action taking place. I’ll be watching both the Raonic vs. Roger-Vasselin and Goffin vs. Soeda final qualifying rounds from Chennai, and I’ll have full reports from those matches after their completion. 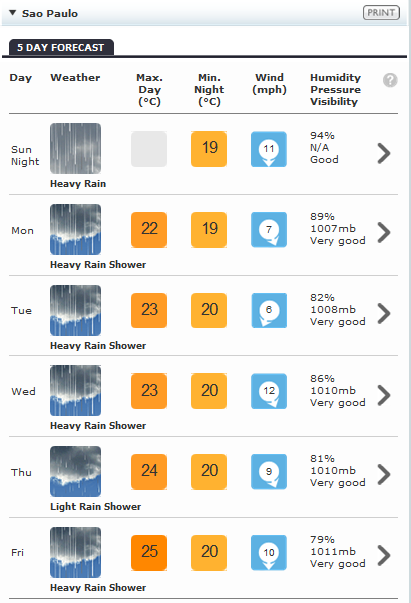 In the meantime, pray to the tennis gods or the weather gods or the atheist gods… whichever gods you’re on best of terms with. And maybe there’ll be Challenger Tennis this week. 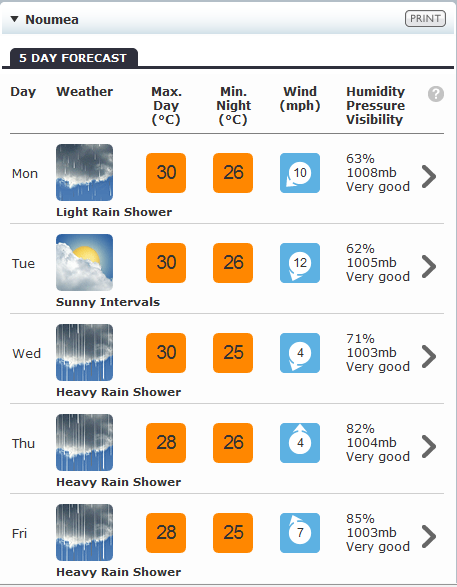 But right now, the outlook is not so good. This qualifying draw breakdown comes with one qualifier: to help expedite this analysis, I will be assuming that all Indians save for Sanam Singh, Vishnu Vardhan and Karan Rastogi cannot quite compete at this level and will thus not be advancing to QR2. Oh, and let’s pretend the same is true for all German wildcards as well. Please note: I did not say this would be a particularly fair or accurate assumption, but it will certainly make this draw analysis a hell of a lot easier. First Quarter: So, based on my simple yet effective formula, it’s looking like top-seed Go Soeda will face the winner between David Goffin and  Ivo Minar for a main draw spot here. The case for Minar being that winner: he’s ranked higher (#167). 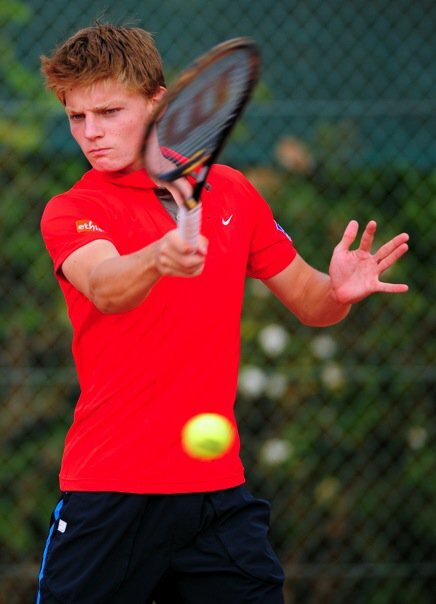 The case for Goffin being that winner: he’s one of Challenger Tennis’ 2011 Players To Watch. Advantage: Goffin. For Go’s part, he hasn’t told it on the mountain (i.e. 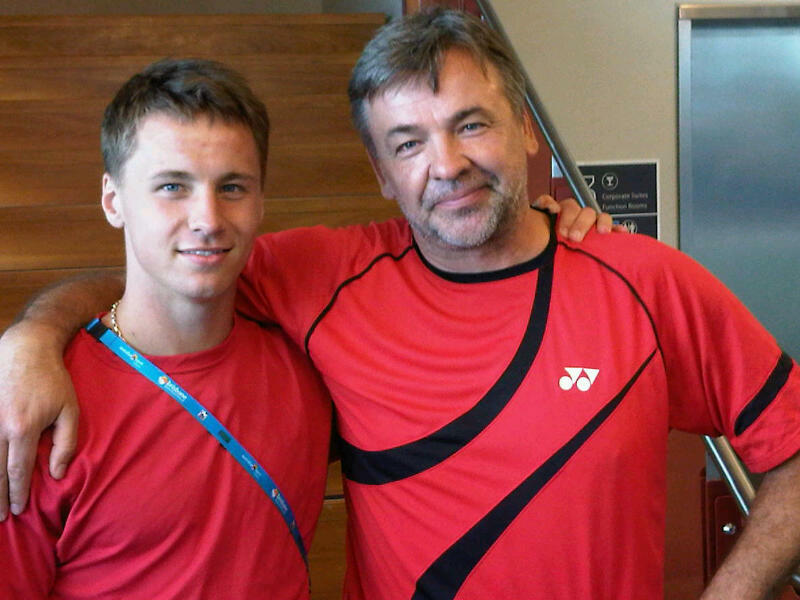 played) against either Goffin or the non-doctor Ivo. Who advances: much as I’d like to see one of CT’s chosen folk thrive early in the year, I suspect it will be the top-seeded Soeda getting through his section. But I wouldn’t mind being wrong at all, at all. Second Quarter: I’m gonna call my first reckless upset of the season here, and tout Sanam Singh as the guy who emerges from the top half of this quarter. The UVA vet is no slouch at the professional level, though he’s played most of his ball in college thus far. Plus, Skugor had a less-than-convincing end of 2010 (losing his final five matches) and Roger-Vasselin ain’t exactly a hero on hard courts. So I say Singh pleases the locals and slides past Vasselin into the final qualifying round, where he’ll meet… Milos Raonic, of course. The Canadian with the cannonball serve has had time to rest his shoulder and he’s got very high aspirations for this year. I can’t see Aldin Setkic or Evgeny Kirillov really troubling him. Nor Singh, for that matter. Who advances: Raonic. Third Quarter: Well, even though Vishnu Vardan is someone I can’t offhandedly eliminate before my draw analysis gets underway, I can eliminate him now at the hands of Conor Niland. The top-ranked Irishman finished last year too well to be wholly bothered by the third-ranked Indian. Though he may be partially bothered by him. There’s definitely room for some partial botheration. I like Conor to come through over Ante Pavic or Aisam Qureshi as well. I think Karan Rastogi might go a bit further toward making an impact on Rajeev Ram‘s game deeper into the third quarter, but I expect Ram to come good, even though he didn’t give the Entouraj much to cheer about last year (if anything). And that leads us to an interesting QR2, because Alexander Kudryavtsev – despite impressing in his run to the semis of the Bratislava Challenger semis late last year – has an 0-2 head-to-head against Raj, with both losses coming on hard courts and one coming last year in Chennai. Things look as favorable as they could for the American to find his way into the FQR against Niland. But that’s as far as I expect him to go, assuming he gets that far. It’s Niland who advances out of this section, I think. Fourth Quarter: I think the one player with the most to be pleased with in all of the Chennai qualifying draw is 4th seed Konstantin Kravchuk. Besides the other seed in his section, Yuichi Sugita, the highest ranked player is outside the Top 500, and Kravchuk won his only previous meeting with Sugita. So look for the 25 year-old Russian to join Soeda, Raonic and Niland in kickstarting their 2011 campaigns with an ATP main draw appearance.